Paul Sparer and his wife, Nancy Marchand, have brought their entire family to Ann Arbor while they play leading roles this season in the Association of Producing Artists, brought to the city through the University's Professional Theatre Program (PTP). 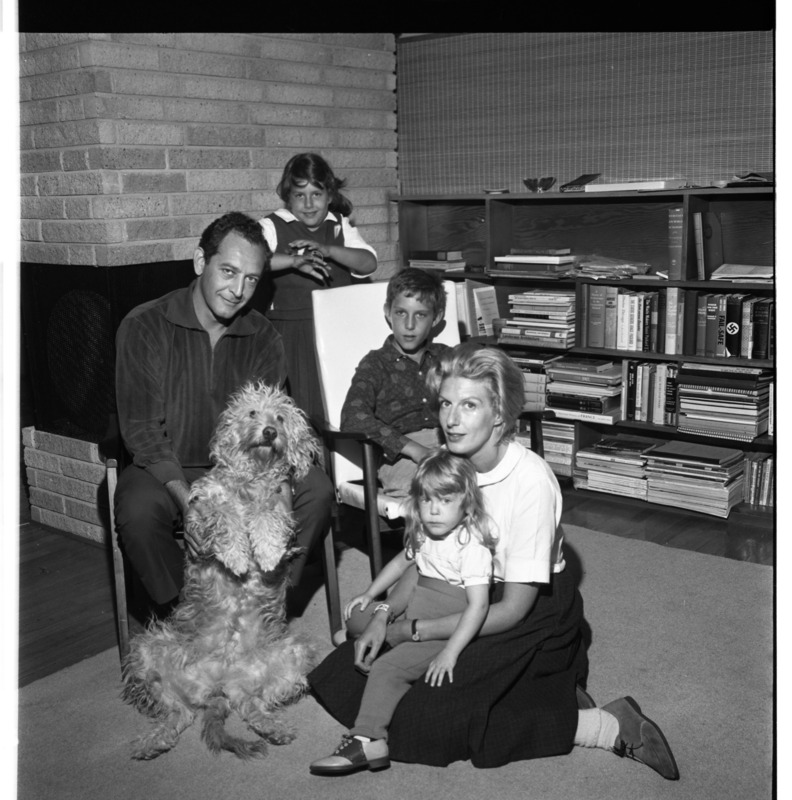 The family includes Katie, 7 1/2, standing with the family's pet mouse "Humphey" David, 11, seated; Rachel, 2 1/2, seated with her mother, and "Manfred," who is part French Poodle and part Golden Retriever. Seven married couples are participating in the PTP, making the program a real family affair.